I know white people everyone wants us to pretend that we are post-racial and everyone is equal, and the fact that a show entering its 43rd season on television is adding another black cast member is not a big deal, but when Saturday Night Live adds a new black cast member to its show, it still is a very big deal. 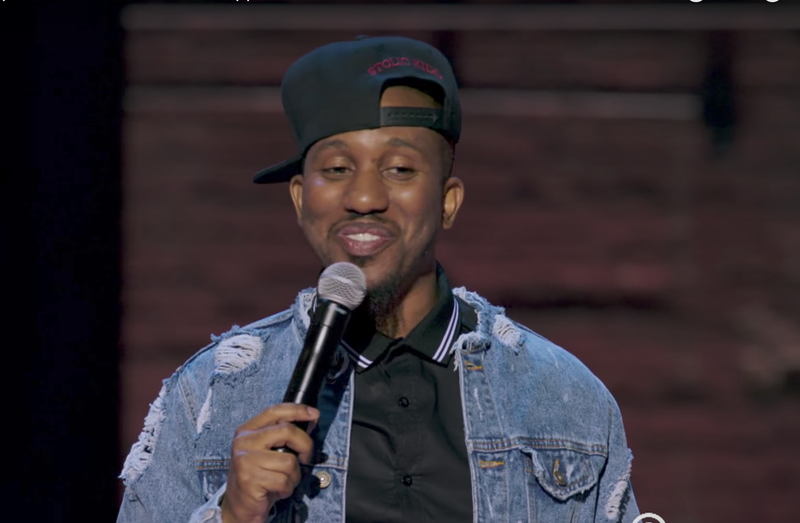 This season, SNL adds three new cast members to its roster: Heidi Gardner, Luke Null and Chris Redd, the new black guy. According to the Hollywood Reporter, the three will be replacing Bobby Moynihan, Vanessa Bayer and Sasheer Zamata, all of whom left at the end of last season. I could tell you about the two new white cast members, but honestly, that’s not what this post is about, and I’m sure they will get lots of screen time and lots of coverage everywhere else, so let’s just focus on the black guy, Chris Redd, since this is the big deal anyway. Redd is a writer, actor and comedian with sketch and improv experience who appeared in the mockumentary Popstar: Never Stop Never Stopping alongside SNL alums Andy Samberg, Joan Cusack, Bill Hader, Tim Meadows and Maya Rudolph. He also appeared in the Netflix comedy Disjointed, and he was a featured performer in the Comedy Central Stand-Up Presents series. SNL will return for its 43rd season on Sept. 30 with host Ryan Gosling (heyyyyyyyyyy, Yesha) and musical guest Jay-Z. Alec Baldwin will also be in the house to portray the dotard in chief, Donald Trump. SNL won nine Emmys earlier this month, including an award for sketch series, and one each for cast member Kate McKinnon, as well as guest stars Melissa McCarthy and Baldwin, who won for their portrayals of Sean Spicer and Donald Trump, respectively. Going into the season, I knew I wanted to get it right. We thought it would be the biggest election of our lifetime, and we wanted to be in the middle of it. We lived week to week, and it was one of those years where the cast just rose to any challenge; the writing staff did; and the design team did. No one said, “We’ve only got two hours.” The president just did this and we have to change it. …. This is a group that was united and all of one mind and everybody sacrificed and supported each other. That’s the best you ever get when you do the kind of show like this. So new black guy on SNL. Cool. I’m going to see if Yesha, Genetta and Danielle B. will let me host a weekly drinking game where we take a shot every time we see Chris Redd on-screen. I’m sure it will be the soberest party every weekend.